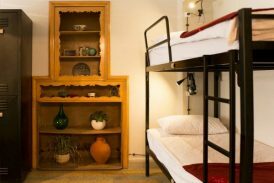 See You in Iran Hostel in Tehran is an interactive space for cultural exchange providing low-budget accommodation and featuring an event-based café. Room #7: A charming room on the second floor of our first building featuring a queen-sized bed, a small balcony, a cabinet and a long desk. Room #1: A cozy room on the first floor of our first building featuring a queen-sized bed, a table with two chairs and a sofa bed. 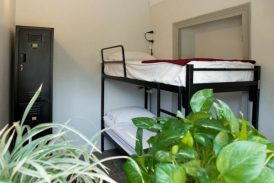 Room #3: A spacious dorm for female-identifying guests on the first floor of our first building featuring four bunk beds, eight lockers, study lamps and a small desk. 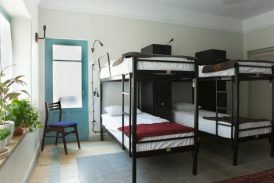 Room #2: A large dorm room for male-identifying guests on the first floor of our first building featuring four bunk beds, eight lockers, study lamps and a window facing a small balcony. Room #6: A small room on the second floor of our first building featuring a bunk-bed, two lockers and a window that looks into a spacious balcony. Room #4: A quiet room on the second floor of our first building featuring two single-person beds, a mini chest of drawer and with a spacious balcony across the hall. 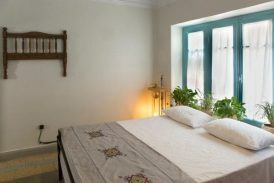 Room #5: A snug room located on the second floor of our first building featuring a queen-sized bed and a sofa bed with a spacious balcony across the hall. 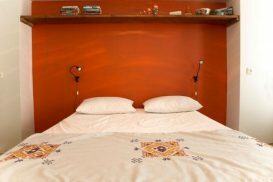 Room #8: A homely room at our second building featuring two single-person beds with a sofa bed, a closet, a table and a chest of drawers. Room #9: A quiet room at our second building featuring a queen-sized bed, a two-person sofa bed, a table, two closets and an epic terrace. 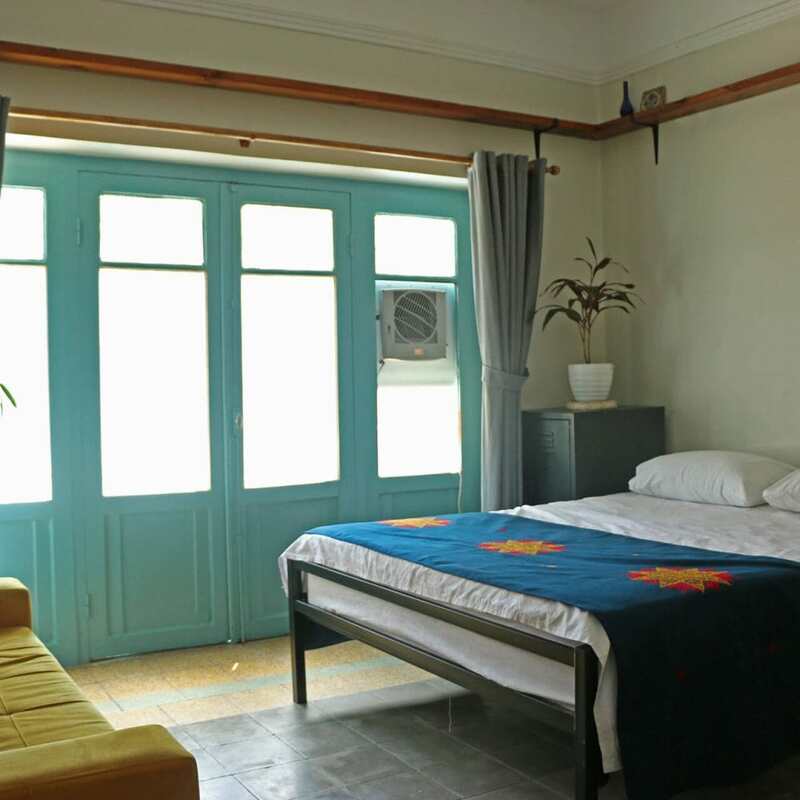 Room #10: A large, secluded, and elaborate room at our second building featuring a king-sized bed, a two-person sofa bed and a one-person sofa bed, a desk and an epic terrace. 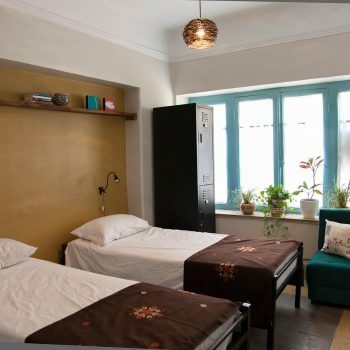 See You in Iran Hostel, which was rated by Lonely Planet as a “Top Choice Hostel” and one of the “Best Places to Sleep” in Tehran, transcends the limitations of virtual connections by transforming them into face-to-face interactions inside Iran. 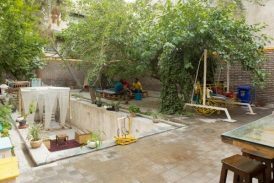 The hostel’s work in utilizing a physical space in shaping social life has made it the accommodation for cultural exchange in Iran. Come and go whenever you want! We have 24/7 on-site staff that will open the door for you at any time. 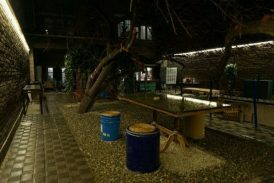 Our hostel is located in the pulsing heart of Tehran’s artistic center. It not only neighbors the Iranian Artists’ Forum, various cafes and a burgeoning community of galleries, but it’s also ten minutes walking distance from a major transportation hub and two metro stops. 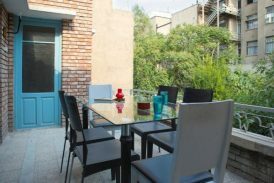 Guests can comfortably explore Tehran without any extra weight or worrying about precious items. 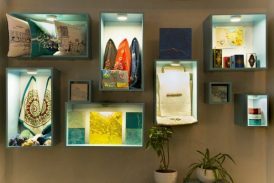 Each guest has an individual locker for storing personal valuables and we have a storage space by the reception desk. Our hostel has three high-speed wifi networks for guests to use anytime and anywhere in our three-floor hostel. 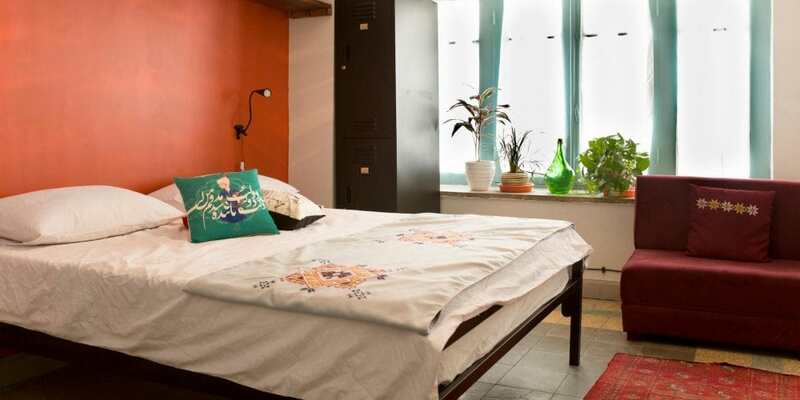 Our hostel is the accommodation for cultural exchange. Everything from our weekly cultural events to our multilingual staff exemplify our commitment to creating interactive spaces through which travelers can connect with locals. We understand how tiring international traveling can be. As a result, we launched around the clock transportation services to and from the Imam Khomeini International Airport for hostel guests. 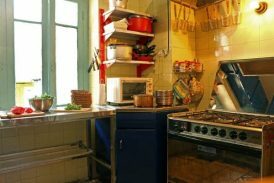 In addition to breakfast being included, we also offer a complimentary tea or coffee in the morning, free towels, free laundry, a blow dryer and storage space. 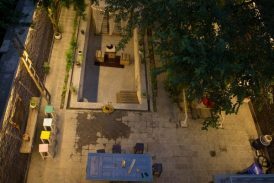 Our outdoor garden has berry, fig and pomegranate trees and a variety of places to relax and hangout in including a bamboo cabana, a wall bar with stools and a swing. 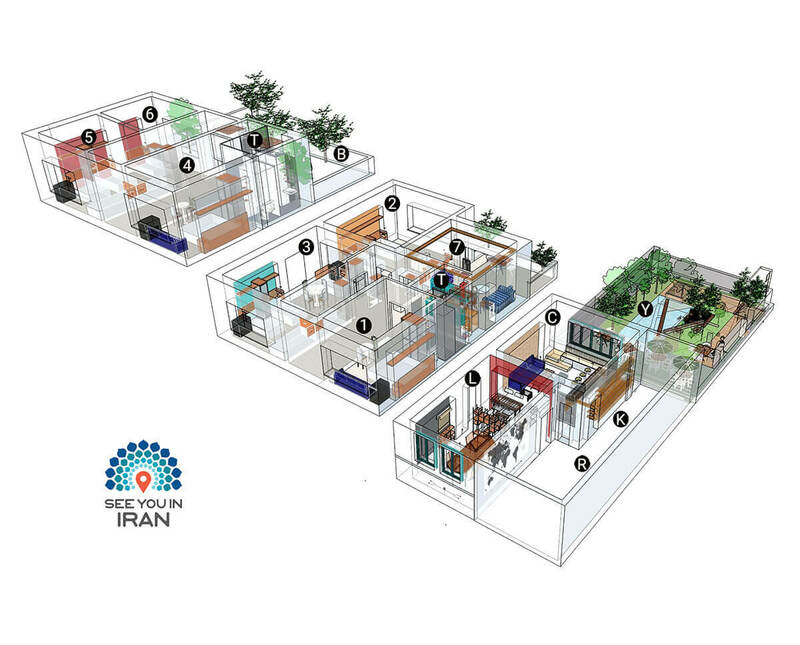 See You in Iran recently launched a services package for hostel guests which includes a debit card, a metro card, a sim card and a services maps of the neighborhoods surrounding the hostel. 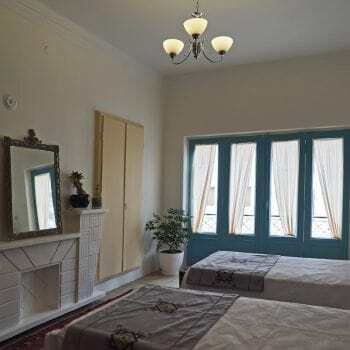 Our renovated 70-year-old building retains the charm of older Iranian architecture while have new beds and mattresses in all of its seven bedrooms. 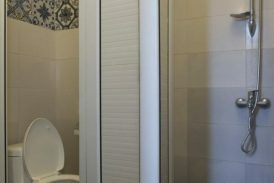 We also have new, communal bathrooms with showers on floors two and three and Western toilets on each floor that are cleaned three times a day.